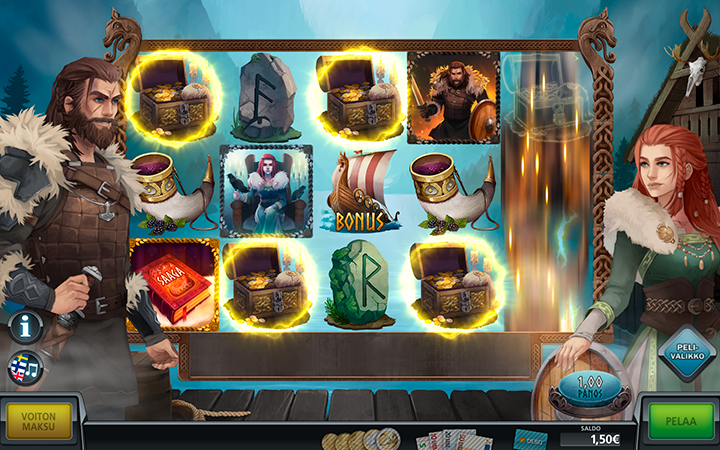 Saaga is a slot machine game that dwells deep into the world of Vikings. 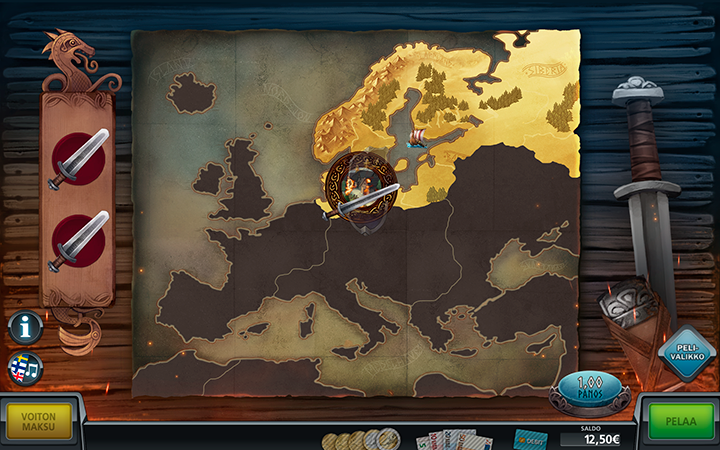 In addition to mere mythology, the player gets to pillage and loot across ancient Europe. The reels feature symbols in keeping with the theme: you can find runes, swords and shields. Not to mention treasure chests and the Vikings themselves! When the ancient Viking gods show their mercy and the symbols align to specific patterns, the player wins. The game has five reels and twenty-seven paylines. 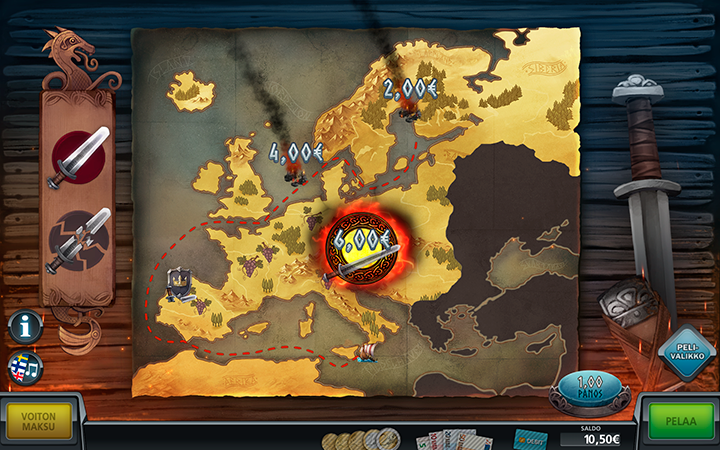 It also features a bonus games where the player gets to go on a raid and find treasure all over ancient Europe. 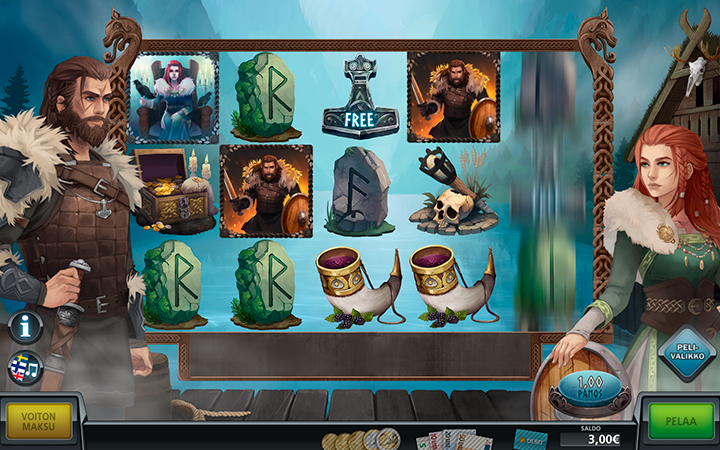 Free spins are triggered from Thor’s hammer hitting reels 1, 3 and 5. During free spins the number of wild symbols is tripled. The wild symbol is depicted by the thoughtful and mindful raven – also familiar from Viking mythology. The raven can land on reels 2, 3 and 4. If the player wins, it is possible to try and double the winnings. When doubling the player gets to choose between a sword and a shield. 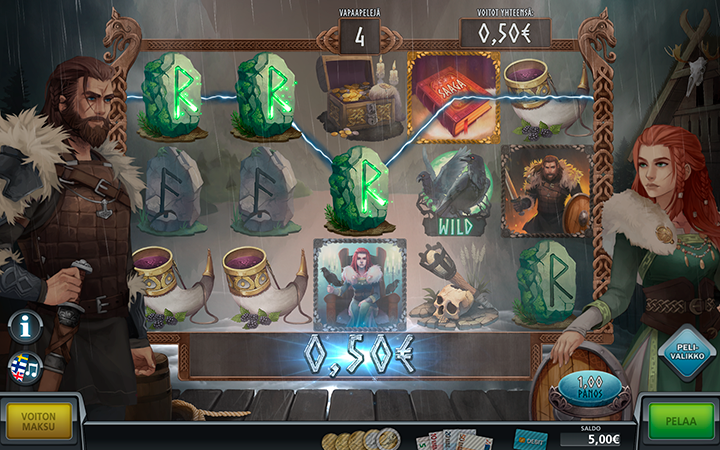 Or if feeling particularly daring, the player can opt for the Viking symbol which can multiply the winnings by 15.